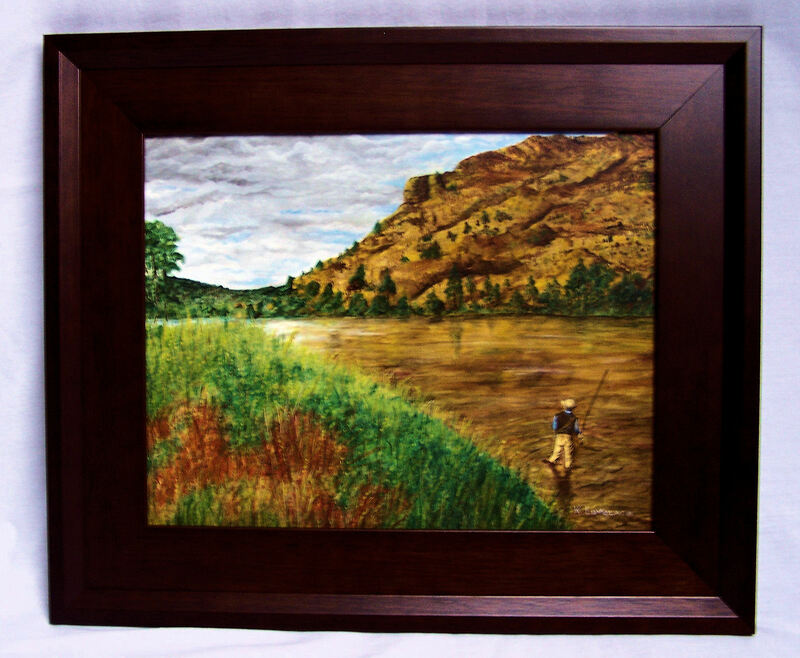 This framed original landscape painting depicts an angler carefully watching an approaching storm. It is acrylic on masonite. The size is 11 X 14 plus framing. Click here to return to the Framed Art page.